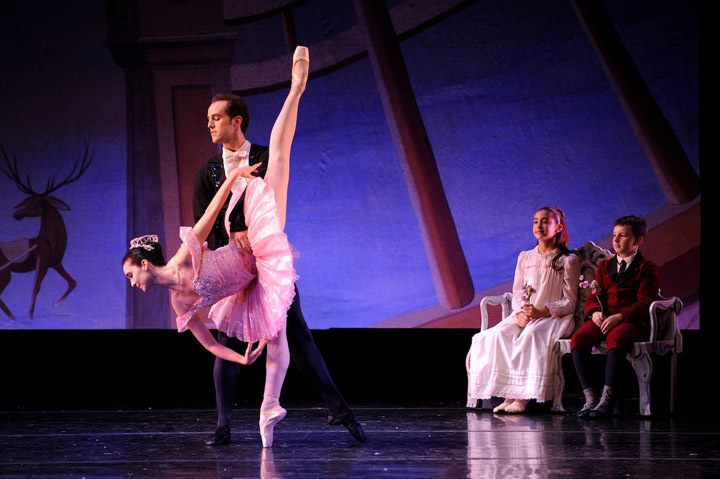 The company presents the annual production of choreographer Francis Patrelle’s unique rendition of Peter Ilyich Tchaikovsky’s holiday classic The Nutcracker. Set in 1895, The Yorkville Nutcracker takes the audience on an action-packed tour of Olde New York’s most beloved landmarks, including a holiday party at Gracie Mansion, dancing at the Crystal Palace in the New York Botanical Garden, and skating in Central Park. Lavish sets and costumes, enchanting music and beautiful dancers from ages 5 to 65 complete this thrilling production, with New York City Ballet principals Jenifer Ringer and Jared Angle as the Sugar Plum Fairy and her Cavalier. Matthew Dibble, a soloist in Royal Ballet who performed on Broadway in Twyla Tharp’s Come Fly Away, will join the show as the Snow Boy. Dances Patrelle (dP) is a dynamic professional ballet company embarking on its 25th season! dP presents two annual seasons in New York — the timeless holiday tradition, The Yorkville Nutcracker, and a spring repertory season, featuring world premieres and classic Patrelle favorites. Mr. Patrelle’s body of work includes over 50 original ballets choreographed for Dances Patrelle, and spans an incredibly wide range of styles, from his beloved American Songbook collection, to such contemporary classics as Romeo and Juliet, Madame X, Macbeth and Rhapsody in Blue. Heralded by Lynn Garafola in Dance Magazine as a choreographer with “a personal vision…classical because it is rooted in metaphor and symbolic language [and] populist because of its legibility and broad cultural resonance,” Patrelle has also cultivated a long-time collaboration with composer Patrick Soluri, commissioning four original scores including 2009’s Murder at the Masque for dP’s 20th Anniversary celebration. Known for attracting the great talent of each generation, Dances Patrelle is pleased to count ballet stars Marcelo Gomes, Maria Riccetto, Donald Williams, Lourdes Lopez, Jock Soto, Merrill Ashley and prima ballerina Cynthia Gregory among its past and present dancers. For over 20 seasons, Dances Patrelle has tapped into the human experience, connecting intimately with the audience and continuously reinventing dramatic dance. In 2013, the company was named the resident ballet company of the Kaatsbaan International Dance Center.